Guys a cool version of CounterStrike v1.6 will rock your shooting experience. 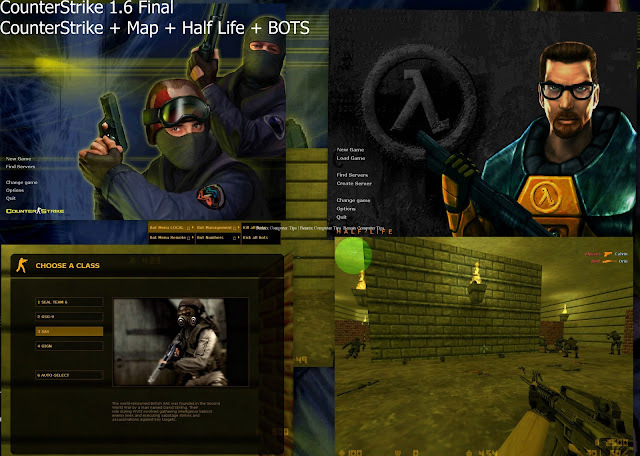 CounterStrike 1.6 is an English version that contains both CounterStirke and Half life game option.Maps and off course BOT's are included that you can play even on a local server game mode. - Fixed maps installer path and icons. Here you can find more servers. This version was the most stable cool.Share and have fun! Terrorist Win!!!! !